1.) Indianapolis Colts- Andrew Luck QB Stanford. This is as sure of a pick as ever in NFL history. The Colts would be stupid to pass on a possible franchise QB and they have publicy stated they “will draft Luck”. No surprises in Indy, so buy your jerseys and let the Luck-era begin. 2. )Washington Redskins- Robert Grffin III QB Baylor. Another lock in the draft at 100%. The Redskins traded a kings randsom for the opportunity to acquire RGIII, and they are hoping the converted track star pans out. The speed and potential are there, but it remains to be seen if RGIII can translate to the NFL. 3. )Minnesota Vikings- Matt Kahlil OT USC. 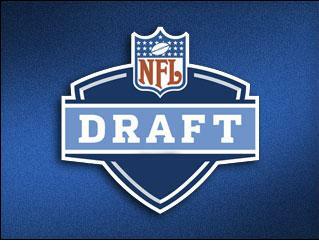 The first real “choice” of the draft will fall upon the Minnesota Vikings. If by chance wither of the first two teams passes on a QB, the Vikings will snap them up. WIth both Griffin and Luck of the board, the Vikings are looking at OT Kahlil, CB Clairborne WR Blackmon, or RB Richardson. They are desperate for help on the offensive line and Kahlil represents a safe pick for a team in a very tough division. He will only foster the growth of Christian Ponder and provide support for Adrian Peterson. Win-win. 4.) Cleveland Browns- Trent Richardson RB Alabama or Justin Blackmon WR Oklahoma St.. The Browns, like always, are in a position to either go with one of the best players available or fill a position of need. Since the departure of Braylon Edwards, the Browns have been without a #1 and it shows. They have had some success at the RB position, but rarely for more than a single season. In my opinion the Browns buck the tradition of need and go with a great player in Rirchadson. They will not consider Tannehill no matter what, and I doubt they will trade back in this draft. 5. )Tampa Bay Buccaneers- Maurice Clairborne CB LSU- I see very little movement here for the Defensive minded Bucs. They have WR’s, they have DT’s, and they have RB’s. While they are strong on defense, this pick could be a game changer for Tampa Bay. In a highscoring division, they need 3 legitmate CB’s to even pose a threat to their rivals. Look for the Bucs to go Defense with Clairborne and pick up a great player. The only caution I heed, is that Clairborne may have a difficult time picking up the playbook. Low test scores, and uneven personal interviews should be taken into consideration. It should be stated though that Clairborne has instincts for the game that cannot be taught. Sean Peyton Suspension Good or Bad? The NFL has said Payton initially lied to NFL investigators about the program, at first denying its existence, and also instructed his defensive assistants to lie. The league also slapped an eight-game suspension on general manager Mickey Loomis and a six-game suspension on assistant head coach Joe Vitt, who also coaches linebackers. Former defensive coordinator Gregg Williams, who left the Saints after last season to join the St. Louis Rams, ran the bounty program and has been suspended indefinitely. Goodell also fined the Saints $500,000 and took away second-round draft choices in 2012 and 2013. The NFL has said the bounty program started in 2009, Williams’ first season, when the Saints also won their only Super Bowl. The league also found the program continued through 2011 even after NFL officials told the Saints to check into it and put a stop to it if they found anything improper was going on. Many around the league, in the media, and from the NFL fanbase are questioning the harshness of this particular punishment. The arguments against the actions taken against Payton stem from the belief that no particular precedent exists for this type of incident in the NFL. Commentators from ESPN believed Payton would likely see a 2-6 game suspension, with a 6 game suspension being the absolute highest form of punishment he would recieve. Others were convinced that a hefty fine and loss of a draft pick may also result from the NFL investigation. The reaction to the 16 game suspension has been overwhelming against the actions taken by Goodell and most are fearing he is overstepping his authority. In the opinion of this blogger, the suspension is a precedent set by Goodell to warn all NFL teams. The NFL is newly focused on the problem of player safety, and due to recent lawsuits is taking a hard stance of zero tolerance for rule violators. What I would like to address next is the fact that Sean Payton lied to NFL investigators on the subject and, claimed he was unaware of the bounty program. Personally, it is hard to believe that a Head Coach would be ignorant of a bounty program as they are an integeral part of a NFL team. The hours in the film room, player meetings, team meetings, and working with the coaching staff a Head Coach is involved in every aspect of a team. I liken this notion of ignorance to the stance Joe Paterno took while the Penn St. football program issues came to light. Now, I am not comparing these crimes to one another but rather the stance that each Head Coach took over knowledge. In the Penn St. case Paterno denied knowledge of “what was going on in the program” or what was happening “with the other coaches”. The Head Coach has his hands in every aspect of the program and knows the moment something of this nature happens or if a bounty program is in place. In other words, Payton knew what was going on and let it happen. The argument that he is more of an Offensive minded coach is completly baseless. I cannot believe that a Head Coach would say and still have a job, “Hey I have no idea what goes on within my team. I’m just a Head Coach!”. Honestly, if this is his defense against allegations would you want this guy as your coach? This makes the Head Coach seem aloof and incompitent, as if he has no investement in his team. 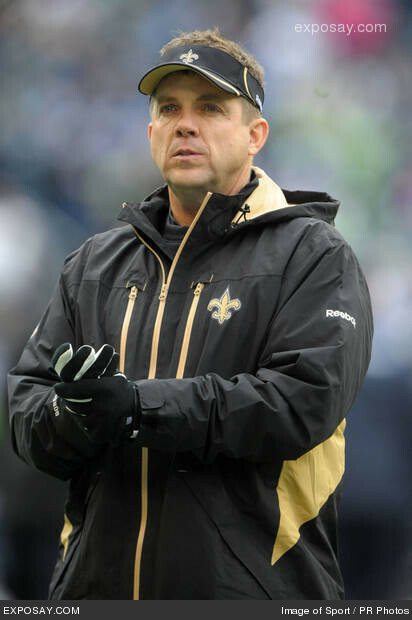 Since the initial investigation Payton admitted to failing to stop the bounty program and apologized to the NFL. Even with his apology he fails to admit that he in fact had knowledge and may have participated in the pooling of money for the bounties. While those are speculations, it seems to me that it is more than likely that Payton did have his hand in the bounty system. The next course of action would be player suspensions and fines. The NFL should start interviewing current and former Saints players that were around for the 2009 NFL season to determine which players were involved. These players should face, if found to have participated, a very stiff fine and a several game suspension. I cannot believe that the NFL would willingly target the Coaches and Front Office Staff of an organization but, ignore the players that were a part of this system. Personally, it would make Goodell in my opinion look very foolish to ignore these players. His stance towards aggressive hits, helmet to helmet contact, and malicious plays have been quite pronounced in the last two season. It would seem that he would undermine is efforts by ignoring these players. With this is mind the final 3 teams will be: Denver, San Francisco, and Tennessee in that order. Now why does each team make sense? –Denver– actually a rather stripped down offense that needs help. The WR core is average at best and just lost a rising talent in TE Fells to New England. The RB are above average and certainly better than any that Indianapolis previously had with Manning. The highlight of this team is an experienced defense that has great pass rushing ends. This defense carried Denver last season and plays well together. The Denver front office also has a huge amount of cap space available and can easily accommodate Manning. I would give Denver a 70-75% chance of landing Manning if they are willing to spend. –San Francisco– This team is the best of the available teams in terms of total talent. Good WRs, Great TE, Great RB, Top 3 Defense and a lights out kicker. The major downside to San Francisco is the cap and the willingness of Harbaugh to turn his offense over to Manning. Their is also the dynamic of having to face Eli possibly in a playoff that may way on Peyton’s mind (as NYG have a lot of talent on their roster). This added with the strength of the NFC in general makes the entire conference less appealing. Facing Rodgers, Eli Manning, Romo, Vick, Brees, Stafford, Cutler etc is quite daunting. The NFC has a group of QBs in the 27-34 range that are seemingly getting better every year, which may be a turn off. Chance to sign 20%. –Tennessee– I really was surprised to see this team was not being considered like the first two. Great WRs, Good TE, Great RB Good Defense, Good Kicker. This team has it all and could challenge for a spot in the playoffs. What is not to like is a newer HC and strong competition from division opponent Houston. Their is also the issue of QBs Matt Hasselbeck and Jake Lokehart on roster. I highly doubt they can land Manning chance is sub 5%. So far Blackmon is the leading vote getter and RGIII and Other getting the remaining votes.